Our team of licensed and highly skilled chimney contractors are certified to work on just about any project. We have years of experience, and are always upgrading our tools and equipment so we can get the chimney repair, flashing, liner installation, pointing and inspection work done efficiently and right the first time. You don't want to wait for something bad to happen before you decide that your chimney needs a repair. Fire and smoke are only some of the issues caused by malfunctioning chimneys, as rainfall can also seep into your home and damage it if the chimney is not protected well. Not only will we do the possible chimney repair needed on your home, we will always quote you a fair price for all the labor and the materials needed. 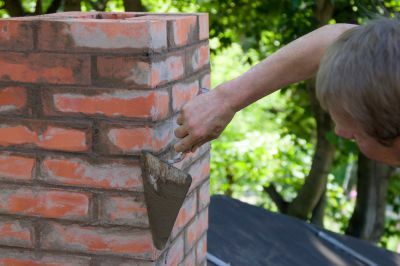 The quickest way to contact us is via the form, and please describe your project in detail so we can prepare the most accurate quote for any type of chimney service. Why Hire Chimney Repair Pro For Any Kind of Issue With Your Chimney? Chimneys, like a roof will wear over time and it's imperative you get it checked out at least every few years to prevent bigger issues down the road. A fully functional chimney is really important for ventilation and clean air flow. If you need any type of chimney or roof repair contact us asap. Chimney lining and regular sweeping is important to prevent the build up of corrosion from too much heat, and to direct the smoke into the atmosphere.